I went to Seattle this past weekend for the first time and it was awesome. What a great city. Seriously. We saw so much in the 3 days we were there but didn’t get to even half of what we had wanted to see. 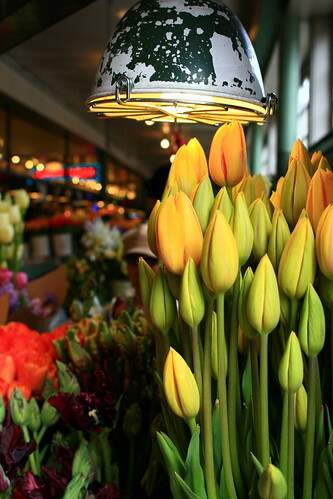 The first thing we did was visit Pike Place Market because, come on, how could we not? 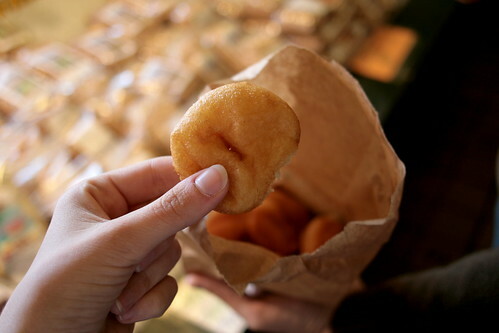 We ate mini donuts, fresh apples, potstickers, and piroshky. We bought gifts and took lots of pictures. It does have a sort of touristy kitsch vibe to it but not so much that locals don’t shop there. What a great thing to have available. Every spring an event occurs that brings millions of people to Washington, DC and it’s not the start of the baseball season. 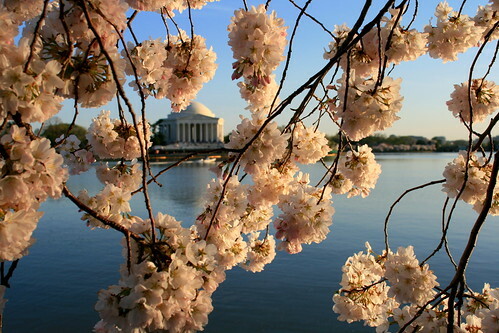 It’s the annual bloom of the cherry blossoms around the city but especially around the Tidal Basin that gets everyone excited. People come in from all over the world with hopes of seeing the trees blooming but there is no real way of knowing when exactly the bloom will occur. National Park Service employees try their best to predict when the bloom will be at it’s peak but it’s not always certain. This year the trees decided to peak early, a day earlier than predicted, and it only lasted for that one day. Of course that doesn’t mean that the blossoms disappear immediately but they don’t stick around for very long, a few days at the most. I’ve been going to see the trees every year since I was in college and this year I volunteered at the National Cherry Blossom Festival to help tourists learn about the trees and the events going on. I even helped inventory the trees when I worked for the park service a few years ago so I feel like I got to know them very well. If you ever get a chance to experience the blooming of the cherry blossoms please remember to take only pictures and don’t pull on the trees! Europe in the winter has some very harsh light. The sun doesn’t get very high in the sky and the shadows are long and dark. Italy is on roughly the same parallel as New England, which many people don’t realize. The Mediterranean Sea factors largely in the weather in Italy, keeping it hot in the summer and not super cold in the winter, but it can do nothing to increase the sun angle. Early in the morning and as the sun is setting in the evening everything takes on a warm orangey glow while being trailed by an almost black shadow. It causes things to look very dramatic and makes it hard to figure out what some things really are. People shouldn’t be afraid of taking photos in the harsh winter light, it can add an interesting dimension that might not have occurred at noon in the middle of July. I don’t know about you but I am so ready for warm weather. It doesn’t have to be oppressively hot but a daytime high of 72 would be so wonderful. 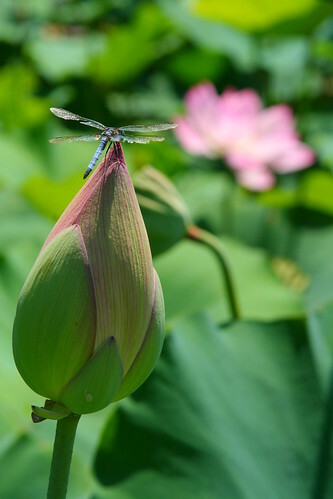 Of course the summer heat does bring out the lotus blossoms at Kenilworth Aquatic Gardens so I guess I wouldn’t mind that so much. After many years of saying I’ll go downtown for the Chinese Lunar New Year parade and never actually going I finally made it down there. While the turnout was impressive the parade was a little less than what I had imagined. The parade started at 2pm, I got off the Metro at 2:05pm and by 2:25pm the parade was over. Considering the size of Washington DC’s Chinatown I guess I shouldn’t have been surprised; there’s a reason it’s called “Chinablock.” The participants were very spirited though and it was fun to watch the dragons and lions dance around. The kids were having a blast and overall it was a festive event. I do wish that the city would help the parade organizers to raise money for a grander parade to celebrate the now small population of Chinese people living in Chinatown. 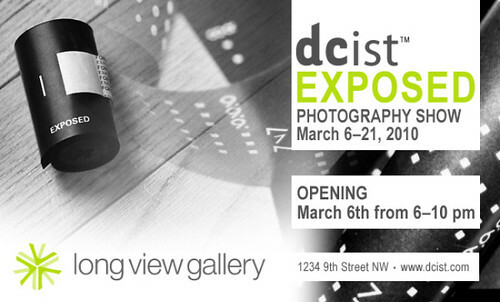 I hope you’ve marked your calendars for the opening of the DCist Exposed Photography Show on March 6! 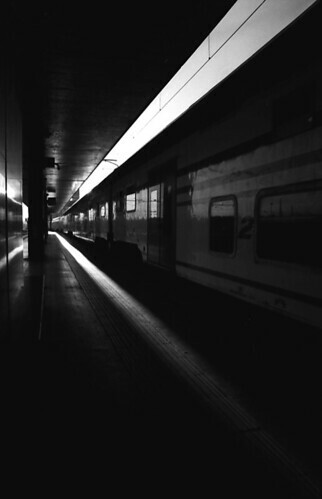 This is one of the photos I entered that was chosen to be in the show. The other photos that were chosen are amazing and I’m honored to have something included with them. Over 1100 photos were entered and the competition was tough. Please come to the Long View Gallery (1234 9th St, NW) and check out all the winning entries, maybe even buy one (or two!). The opening reception is March 6 from 6 -10pm. The show runs from March 6 until March 21. Long View Gallery, 1234 9th St, NW Washington, DC. Mt. Vernon Sq metro (green/yellow) is the closest stop to the gallery. 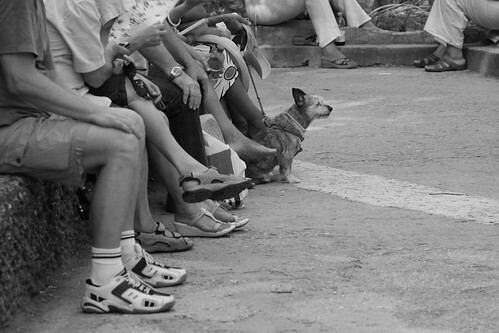 Again this year one of my photos has been selected for the DCist Exposed Photography Show. DCist is a Washington, DC area blog that covers local news, art, and miscelanea in the DC metro area. Every year they host a photography competition and choose 45-50 of the best photos to be displayed in gallery for a couple weeks. They do a great job of promoting local up and coming photographers. Several have gone on to bigger and better things after being included in the show. 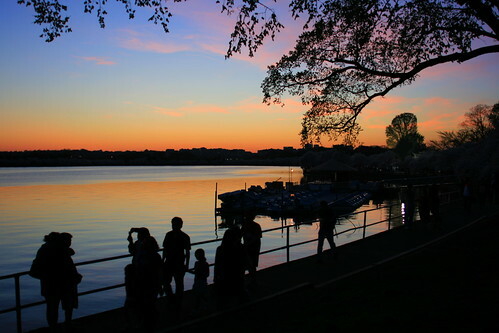 This years winners will be exhibited at the Long View Gallery at 1234 9th St, NW Washington, DC from March 6 – March 21. All photos are for sale and are reasonably priced. Make sure you come down and check it out! Snow My Goodness No More! If all goes according to plan the DC metro area is on track to have one of, if not the, snowiest winter on record. We’re currently sitting in third behind 1995-95 (46″) and 1898-99 (54.4″) with 45 inches. That is apparently more than we’ve had during the last four winters combined. And that is insane. 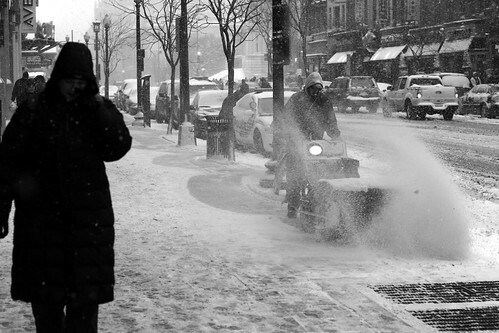 Locally the storm in December is being called The Snowpocalpyse, the February 5-6 storm is Snomageddon, and the latest could be called Snoverkill, though the name hasn’t been decided on yet. 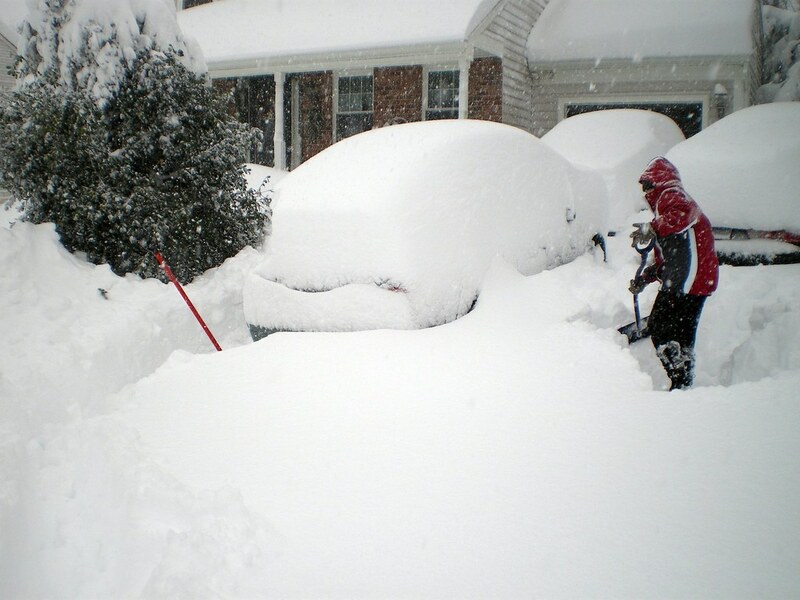 At our house we had 28 inches when all was said and done. 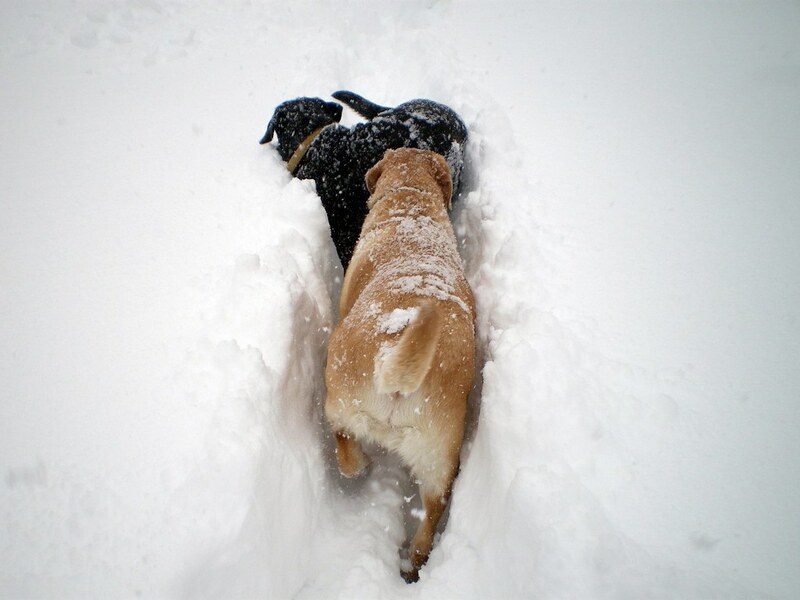 Because the snow was heavy there was probably closer to 30 inches but with settling it measured less. Our street wasn’t plowed until Monday morning, almost 48 hours after the storm was over, but the county was working hard to get everyone out so we can’t complain. There are still people without power and some of the power companies are saying that if you didn’t lose power in the last storm you will lose it this time. That’s not a very comforting thought but there’s really nothing we can do about it. We went to Tivoli last weekend for the day. Tivoli is 30 km (~19 mi) from Rome. 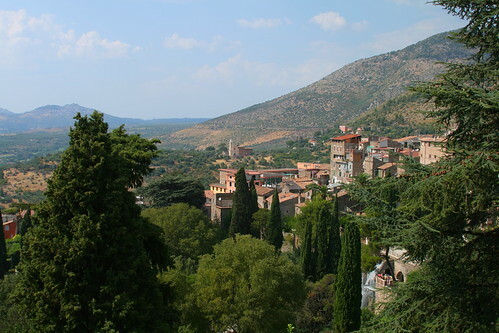 While in Tivoli we visited Villa Gregoriana and Villa d’Este. 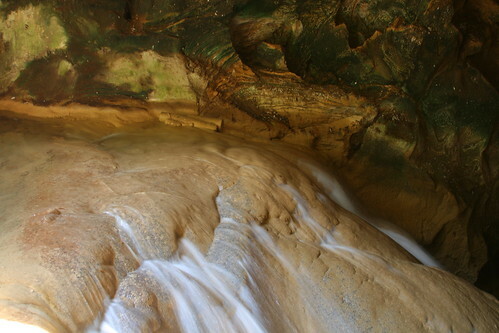 In Villa Gregoriana you can find two tunnels that carry the Aniene River before sending it over the falls. The tunnels were built in 1835 after years of devastating floods. 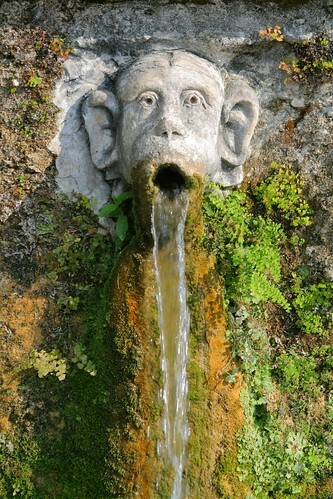 When you visit Villa Gregoriana you walk down into the valley and find what used to be a lake. At one point there had been a natural plug holding the water back but one day the plug failed and water poured out. Now there is a grotto where the plug used to be. Walking all the way down then all the way back up is definitely a work out. I knew I was out of shape but the walk was pushing my limits. It didn’t help that it was really hot and I had no water. Luckily they have fresh water pumps at various points which was really nice. After Villa Gregoriana we ate some ice cream, had some Coca Cola (real sugar! so yummy! 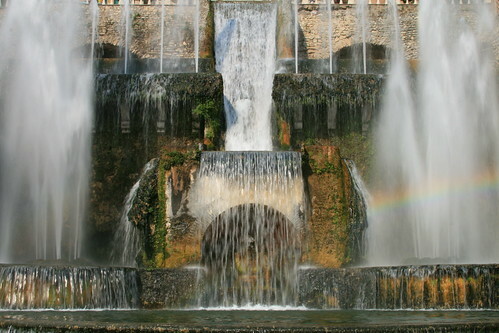 ), and headed over to Villa d’Este. The rooms there are amazing. You’re not allowed to take pics inside so I don’t have any shots of the incredible frescoes that cover the walls and ceilings. While the building is impressive the real sight to see is the garden and the fountains. We spent an hour walking around, I’ve never seen anything like it. There is a water powered organ that plays every hour, manmade caves with high pressure fountains that cool the air like a swamp cooler (I could have spent all day in there, it was easily 20 degrees cooler inside), large fish ponds, and enormous cedars. The fountains were so cool, every one was different. Originally we had planned to also visit Villa Adriana (Hadrian’s Villa) but it was really hot and there was a huge thunderstorm building on top of the mountain that we didn’t want to risk getting caught in. If you’re ever in Rome I would highly recommend a day trip out to Tivoli. 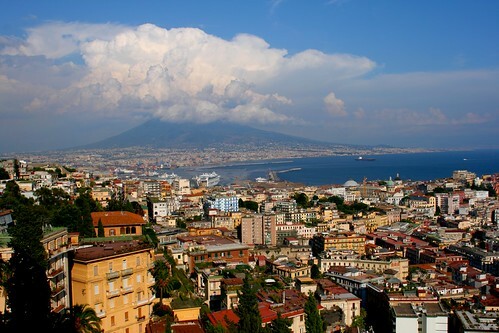 I’m finally back in Napoli after 7 months. It’s good to be back. The temperature has been relatively high recently and with everyone out of town for Ferragosto (the actual holiday is one day – August 15 – but almost everyone goes on vacation for the entire month) there’s not much going on in town. Most of the stores are closed until September so I can’t even go shopping although Benetton did have a 70% off sale two weeks ago, that was nice. I brought a bunch of film with me that I plan on shooting although some of it got checked in my luggage and from what I’ve read it could be seriously damaged. I guess I’ll have to shoot it and find out. Once the temps cool down a little I’ll be venturing out more so look for more photos from Napoli in the future.